Directions to Kever: The cemetery is open to the public only once a year on the Sunday before Yom Kippur. For other times or a private tour contact the Mikveh Israel office at (215) 922-5446 or via email: info@mikvehisral.org. 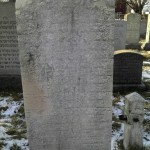 Rav Kleinberg was born in the town of Bavisk, Lithuania and was the son-in-law of Rav Yisrael Lipchitz, the Chief Judge of the Vilna Bias Din. Soon after his father-in-laws passing the Rav was appointed as his replacement. He was then known as Rav Eliezer Dayan. In 1890, Chief Rabbi Yaakov Yosef Joseph on New York City invited Rav Kleinberg to assume the pulpit at Congregation Bnai Abraham of Philadelphia. Soon after his funereal his son-in-law Rav Dov Aryeh Levinthal was installed has his successor. 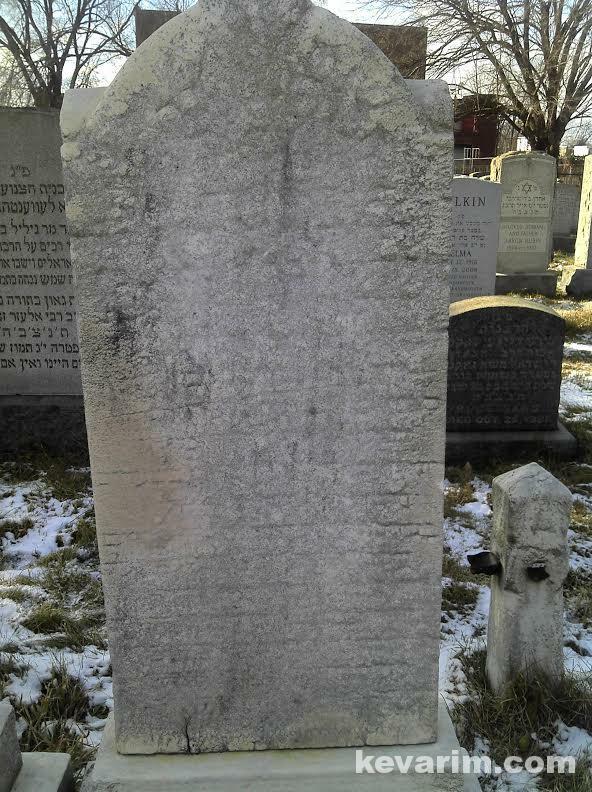 Right Side: Rebetzin Sachs, wife of Rav Yosroel Moshe Sachs – does anyone info her esteemed husband…? Please add the needs repair tag. I have recently become a Baal teshuva and have been trying to figure out my ancestry on my mothers side. Unfortunately, my grandmother is dying and grew up religious. She does not remember exactly the where abouts of her parents and grandparents so much, but what she did tell me is we are related to a Rav kleinberg in PA. How do I figure out if this is him? Welcome aboard, we just learned that there where Baali Teshuvah get to stand in heaven, even the biggest Tzadikim could not get, Chazak! What do you know about your ailing grandmother, what was her maiden name, where was she born etc. maybe we can help you find your roots. I know someone of the family of Rabbi Kleinberg who has done extensive research on the family, she might be able to help you.